Over 1,000 people, many of them young people from both sides of the community, have attended the funeral in Ballymena, Co Antrim of Michael McIlveen. The Catholic teenager died ten days ago after being attacked in the town centre. Catholic classmates from St Patrick's School joined many of the teenager's young Protestant friends at the ceremony. The Bishop of Down and Connor, Dr Patrick Walsh, told mourners there must be a united voice condemning all manifestations of sectarianism. 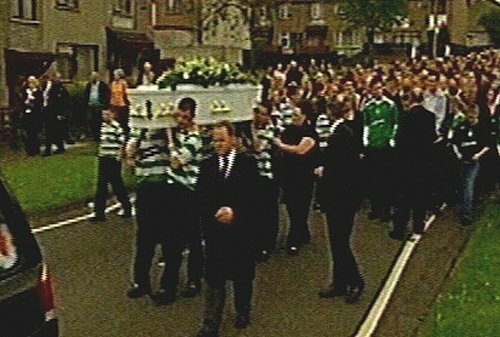 Michael's remains were taken from his home on the Dunclug estate for Mass at All Saints Church, close to where Michael was attacked. The DUP Mayor of Ballymena, Councillor Tommy Nicholl, was at the house as the remains were being removed. Extra police were drafted into the town for the funeral. Curate Fr Paul Symonds, who said the funeral Mass, told parishioners on Sunday that they should be 'anti-sectarian in word, thought and deed'. He said community reconciliation would be a central message of his homily. The DUP party leader and local MP, Rev Ian Paisley, did not attend and stayed at Westminster. Mr Paisley, who is also the Free Presbyterian Moderator, visited the McIlveen family and prayed with them on Sunday. 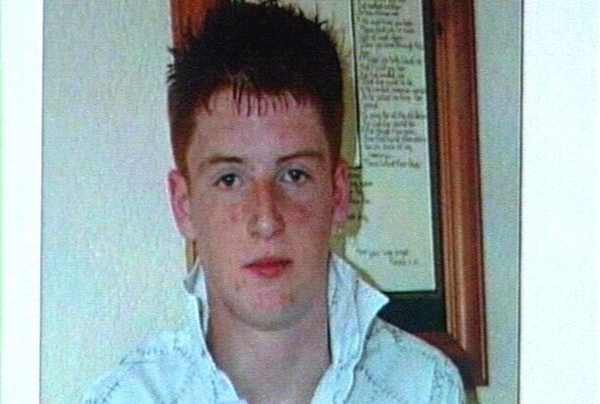 Michael McIlveen died in hospital after a sectarian attack in the Co Antrim town in the early hours of 7 May. Six teenagers have appeared in court charged with Michael's murder and a seventh has been charged with affray.